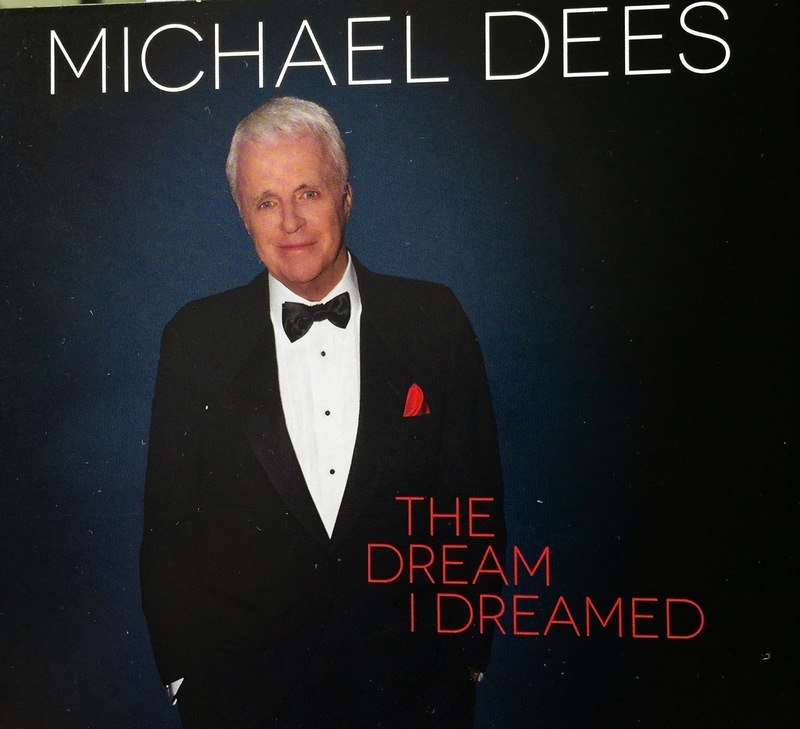 Music Man Blog: CD Review: Michael Dees, "The Dream I Dreamed"
I just received and listened to the new Michael Dees CD, "The Dream I Dreamed". I don't think I can express in words how musically great this CD is, but I am going to try. Michael Dees has been writing and performing music on the West Coast for many years but mostly behind the scenes. His many musical accomplishments date back to the 60's when he was featured several times on "The Steve Allen Show". As most Jazz lovers know, Steve Allen was a big-time lover and performer of Jazz and once he heard Michael sing, he instantly recognized Michael's musical talents. In 1968 Michael was voted the "Best New Male Singer" at the International Popular Song Festival in Rio de Janeiro. It was in Rio that he met Elmer Bernstein who asked Michael to record the song "A Walk In the Spring Rain" for the soundtrack of the movie of the same name. Michael next recorded two albums for Capital Records including "Talk To Me Baby' that featured several Alan and Marilyn Bergman songs. The Bergmans liked his work so much, they asked him to sing their block-buster song, "What Are You Doing the Rest of Your Life" for the soundtrack of the movie "Happy Ending". In the 70's Michael began a long career as a studio singer, performing in over 100 television and movie tracks. In 1995 he recorded songs on the soundtrack for Harrison Ford's remake of the movie "Sabrina". More recently Michael was asked by HBO to be the singing voice of Frank Sinatra in HBO's "The Rat Pack". Over the past 30 years, Michael has sung, written and produced hundreds of commercial "jingles" for radio and television. Two years ago, Michael moved from the LA area to Palm Springs and a few lucky music lovers have been fortunate to hear Michael sing in a couple local Jazz clubs. I first heard about Michael when my friend and fabulous Bass player, Larry Holloway told me he was playing for a great new singer who I had to hear. I did go to hear Michael, and I became a fan after the first song he sang. And that brings us to his new CD, "The Dream I Dreamed" due to be released on May 12th, 2015. Multi-talented Michael Dees wrote all 14 songs on the CD, and his compositions are nothing short of brilliant. Michael writes in the finest tradition of the "Great American Songbook". His melodies are powerful and his lyrics are alive and full of passion. If Sinatra were alive today, I am positive he would have wanted to record several of the songs on this CD. Michael Dees' compositions are alive and current and tell believable stories that instantly relate to the listener. Young singers today would do well to record some of Michael's tunes; songwriting doesn't get any better than this! Michael's voice's has deep velvet tones, and, yet, great force when the music calls for it. 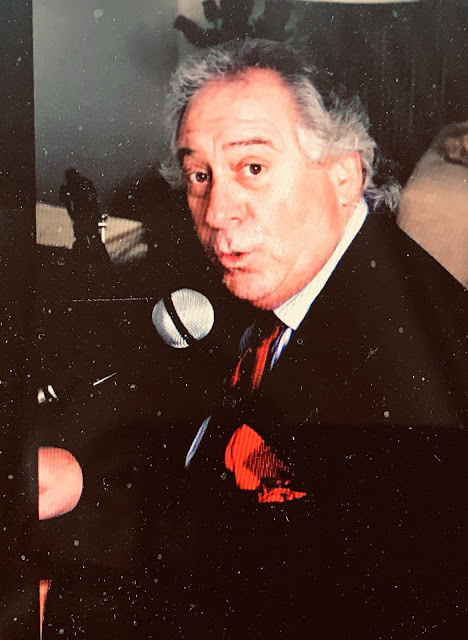 I believe his best vocal talents are his wonderful phrasing, very much Sinatra-like, and his skill in vocally telling a story with the lyrics that instantly connects with the listener. These qualities have been captured by very few singers. Michael Dees is one of these singers! The last part of this wonderful CD belongs to the marvelous supporting musicians Michael has captured for this CD. They all fit Michael's voice and style and melt seamlessly together. They make the final product just about as good as it can get. This Cd deserves consideration for a "Grammy" in several categories; Best Jazz Vocal CD, Best Popular Songwriting and Best Male Vocal of the Year. 1. "In A Moment" 2. "Look At Me"
3. "A Kiss" 4. "I Miss You"
5. "So Crazy For You" 6. "I'm Home"
7. "Back In New Orleans" 8. "I Stay"
9. "A Long Time Comin" 10. "Every Time You Touch Me"
11. "Am I Supposed To Care" 12. "Where Love Goes"
13. "Truly Love" 14. "The Dream I Dreamed"
For you're listening enjoyment, I have attached a "YouTube" of Michael Dees singing "What Are You Doing For The Rest Of Your Life" from the 1969 soundtrack of the movie "Happy Ending".